More than 1.2 billion city dwellers – one of every three people living in urban areas – lack access to affordable and secure housing. This housing gap is a major drag on the economy and the environment. The impact is severe in Asia and Africa, where 2.25 billion people are expected to be added to urban populations between now and 2050. If business continues as usual, slums will grow across the developing world, exacerbating inequality and threatening cities’ traditional role as drivers of economic growth. The latest working paper of WRI’s flagship World Resources Report (WRR), “Towards a More Equal City,” draws on the knowledge of dozens of urban experts to examine whether meeting the needs of the urban underserved can improve the economy and environment. Housing is often seen as falling into discrete categories such as public or private, formal or informal, individual or collective. Instead, we view housing options on a spectrum that combines different elements of ownership, space, services and finance. In some cases, land may be public while the dwellings on it are private. This spectrum allows a more nuanced analysis of the reality of housing markets in the global south and consideration of a wider range of possibilities. While many challenges emerged, we focused on three that city officials can act upon and scale up. As demand for housing has outstripped supply, informal and substandard settlements have proliferated. 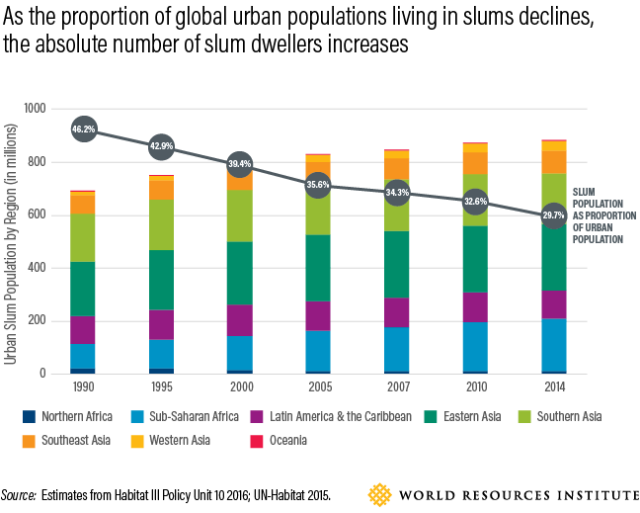 Since 1990, even as the proportion of global urban populations living in slums has declined, there has been an increase in the absolute number of people living in these areas. 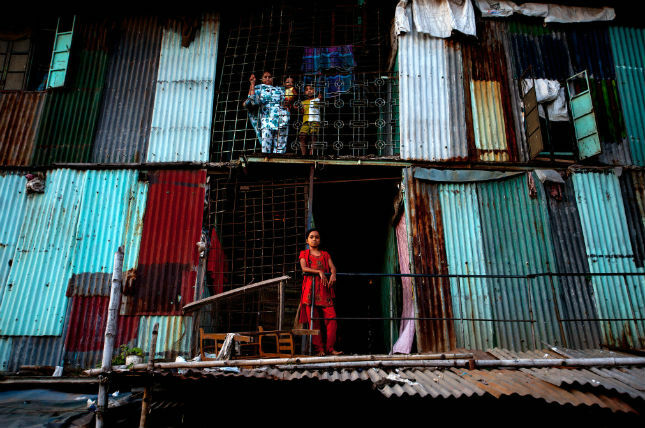 While some call for “slum-free” cities, this is often code for displacement of people to the edge of town, which disrupts labor markets, social networks and lives and harms the city at large. Instead we suggest finding ways to upgrade existing slum areas, tapping into community knowledge and energy while retaining links to social and livelihood networks. This option is best for cities with large slum populations, except in locations with environmental or geographic risks. An example is Thailand’s Baan Mankong program, which directs government infrastructure subsidies, soft housing and land loans to poor communities who then negotiate with land owners for formal tenure and use the funds to upgrade their housing. By 2016, 101,224 poor families in 345 cities had been fully upgraded under the program with secure land, decent houses and healthy living environments. Home ownership is over-emphasized in urban development, which hurts those who lack the resources to buy a home or who need flexibility, such as those working in the informal economy. Subsidies meant to encourage home ownership are geared to those with regular, documented incomes, not those who work in activities like recycling, domestic help and construction that do not produce a paper trail in many parts of the world. Rentals are often not available to the urban poor, or are subject to great uncertainty about rights and responsibilities for both landlords and renters, with unclear processes for dispute resolution. Establishing legal protection for landlords and renters, while acknowledging informal sector activity, can help meet the housing needs of the urban poor while maintaining flexibility and encouraging market-driven development. This includes non-standard payment patterns and cooperative housing where tenants collectively purchase land and rent small plots within it. Vibrant rental markets foster a fluid labor market, a necessary prerequisite for economic prosperity in any city. For example, authorities in Gauteng Province, South Africa, which includes Johannesburg, tackled a housing shortage of 687,000 units by making it legal to rent out formerly illegal informal backyard apartments. This made it easier for low-income people to find places to live and encouraged development of services without government subsidies. In many cities, land is often tangled up in legal disputes, leaving it under-utilized or unused, even as new residents seek housing in the city. Building and land use regulations often impose costs and limit creative use of incremental improvements and innovative land management tools. Political will to address housing needs is critical. Rather than encouraging sprawl, existing urban land should be used for housing. City officials and real estate developers should revise rules and building standards to expand the availability of housing on under-used land. For instance, in Cochabamba, Bolivia, 420 families live in the María Auxiliadora community land trust on land purchased and held in trust as community-owned property. The community’s unique governance structure rotates leadership among women in two-year terms, rejects men who engage in domestic violence and provides support to families. The land cannot be sold for profit, which keeps the housing affordable. These solutions will help urban policymakers in fast-growing cities meet the demand for housing while encouraging economic development and cleaner, safer environments. Closing the housing gap by providing access to affordable, adequate and secure housing will benefit everyone, not just the poor and underserved, as cities become more productive, environmentally sustainable and truly places for all. 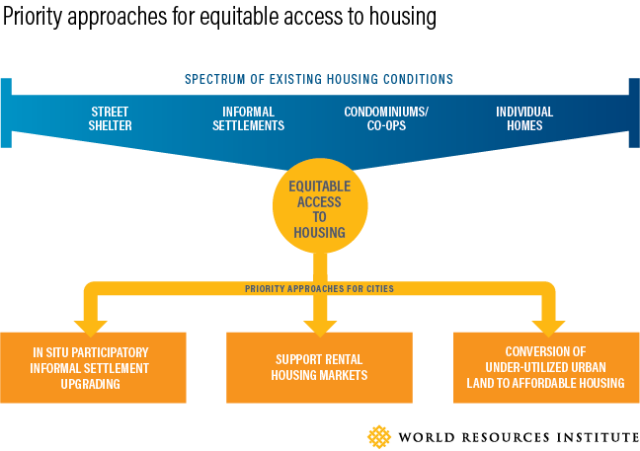 Download “Confronting the Urban Housing Crisis in the Global South: Adequate, Secure and Affordable Housing” from WRI.org. Robin King is the Director of Knowledge Capture and Collaboration at WRI Ross Center for Sustainable Cities.